Are you sick of the seemingly endless cycle of losing weight, gaining it back, losing it again, and gaining it back again? If so, Donna Krech is looking at you. Krech, a motivational speaker who was once a size 12 and is now a size 2, has kept her weight off for over a decade. And she believes you can, too. In a short recorded seminar based on her Make a Choice, Make a Change series, Krech leads a group of people struggling to lose weight through physical and thought exercises intended to kick-start their desire. 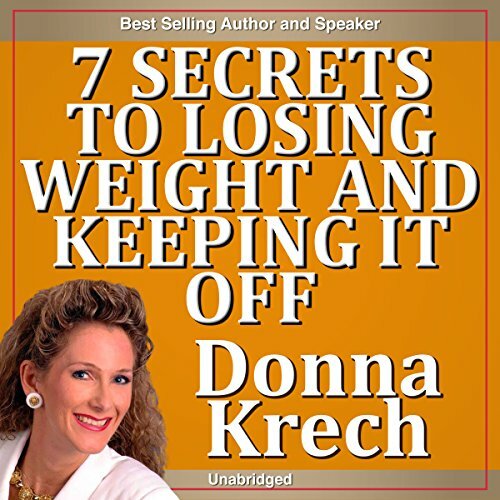 Join fitness and weight loss expert Donna Krech as she educates you about the seven secrets to losing weight permanently in the engaging audio program. Learn what works and what doesn't from Donna, who not only teaches others about permanent weight loss, but has lived it herself. Once an unhappy and unhealthy size 12, Donna is now a size 2 and has been for over 14 years. If you've tried to lose weight before, but not been able to succeed, then this may be the answer you've been looking for. very helpful but I wish the speaker had given more details! but it's certainly inspiring!